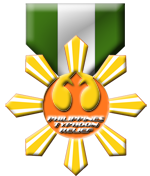 Rebel Legion :: View topic - US Legion member in Yokosuka looking to help Japan Base. Posted: Sun Aug 07, 2011 3:44 pm Post subject: US Legion member in Yokosuka looking to help Japan Base. My name is Rick, I am a legion member from the US and I live in Yokosuka. I'm looking to meet up and help with the members here and to see in there are any members near my area. Thank you for your time. Long time no see. I wish we had a chance to meet while I was in Japan. I think Oki or the JB CO can help you out if you send them an email directly. Nice to meet you Swift! Our SW fan meeting is goint to be held at September 24th in Tokyo. If you were to take part in the meeting , I will tell you the detail. It's glad to talk to you again! Please check out you schedule on Sep.24th! There are some friends speaking English living near you. Sounds great! I am free on Sept 24, so I hope to be able to meet you all! I noticed that you are an archived member. If you still want to remain active, you need to go to the 2011 census to reactivate your membership. I miss Kanagawa Prefecture. I try and make an effort to travel to yokohama and eat all of the tasty food. Thanks, I did do the census a few weeks ago. Should I have gotten a response? Hello! I sent you a PM with my email, not sure if you got it. I'm looking forward to attending the Sept 24th meeting. I am currently working on getting my legion status updated to active. I've done the 2011 census and sent in photos to update my X-wing pilot and Endor trooper outfits. You mentioned some members near my area that speak english, I'd like to make contact with them as I may need some help getting to the meeting on the 24th. Again thanks for the info and welcome, I look forward to meeting you all. Did you check my e-mail? 3D star wars at theater in tokyo. why don't you join with us!? If you read my e-mail, send me reply!